NEW YORK — More than 1,000 miles separate San Luis Obispo, California, and Vancouver, British Columbia. However, choruses from both cities — having traveled nearly 3,000 miles — will convene on the stage of Carnegie Hall at 7 p.m. Saturday, May 25, to perform together as part of MidAmerica Productions’ 36th concert season. The performance will feature 34 singers from Cal Poly and will be the second Carnegie Hall performance for Cal Poly Choirs. Cal Poly Choirs and the Vancouver Bach Choir of British Columbia will collaborate on performances of Joseph Haydn’s popular “Te Deum (for Empress Marie Therese)” and Wolfgang Amadeus Mozart’s rarely heard “Sparrow Mass,” (Missa brevis in C major). Scott Glysson, director of Cal Poly Choirs, will conduct the Haydn piece, and Leslie Dala, director of the Vancouver ensemble, will conduct Mozart’s composition, written when the composer was 19 or 20 years old. Members of the Wilton High School Symphonic Chorus of Wilton, Connecticut, will join both choruses, and the New England Symphonic Ensemble will accompany both works. For more information on the production and to purchase tickets, visit www.carnegiehall.org. 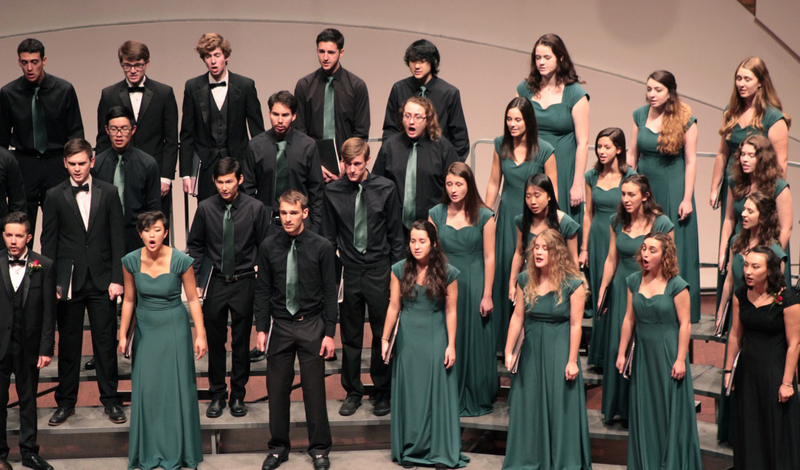 The Cal Poly Choral program consists of four choirs and hundreds of singers. The choirs, which frequently tour locally and abroad, have been recognized nationally for their excellence. During its 36 years, MidAmerica Productions has brought together conductors, soloists, and choral and instrumental ensembles from the U.S. and abroad to appear at New York’s top venues, including Stern Auditorium/Perelman Stage, Weill Recital Hall, and Zankel Hall at Carnegie Hall; and Alice Tully Hall and Avery Fisher Hall (now David Geffen Hall) at Lincoln Center. In addition to presenting instrumental and classic choral works, MidAmerica Productions has championed the works of contemporary composers with approximately 92 world premieres, 21 United States premieres and 100 New York premieres. For more information about MidAmerica productions, contact dguss@midamerica-music.com.